30 deans from Asia participated in this year’s training programme “International Deans’ Course” (IDC). Effective management requires considerable effort and skills - the IDC-participants are ready to take it. Beginning in June, the programme lasts one year and starts at the University of Applied Sciences in Osnabrück. Among the participants are three academics from Myanmar. Since the end of the military dictatorship in 2011, the country achieved recovery after a longstanding economic and political isolation. The first democratic election in 2015 constituted a turning-point for the country. Professor Dr. Thida Win, rector of the Mandalay University, the second oldest University of Myanmar, and her colleagues, Dr. Aye Aye Tun from the Dagon University and Dr. Mi Sandar Mon from the technical University Yangon, consider the attendance of the programme as essential to have a positive influence on their country’s future. “For us the participation in the IDC is a golden opportunity to have a direct influence on the actual academic reform process. With the knowledge we acquire throughout the course, including abilities in the areas of strategic university management, financial management and quality management, we can alter this ongoing process” assure the three Myanmese deans. The participation in the course is part of the national educational strategy in Myanmar – explicitly aiming for an upskill of the academic leaders via foreign exchange programmes. Additionally, the exchange helps to share experiences and to network with other university leaders. “We are interested to learn more about global leading and management structures of universities, to enhance the acquisition of students and funds and to further the areas teaching and learning, curriculum development, internationalisation, networking and scientific excellence” states Thida Win. According to the three academics, the employment of more personnel on management level as well as in teaching and administration, strengthening of the university’s autonomy, facilitation of information and communication technology and the development of an internationalisation strategy are the most crucial points for a positive development of the higher education in Myanmar. 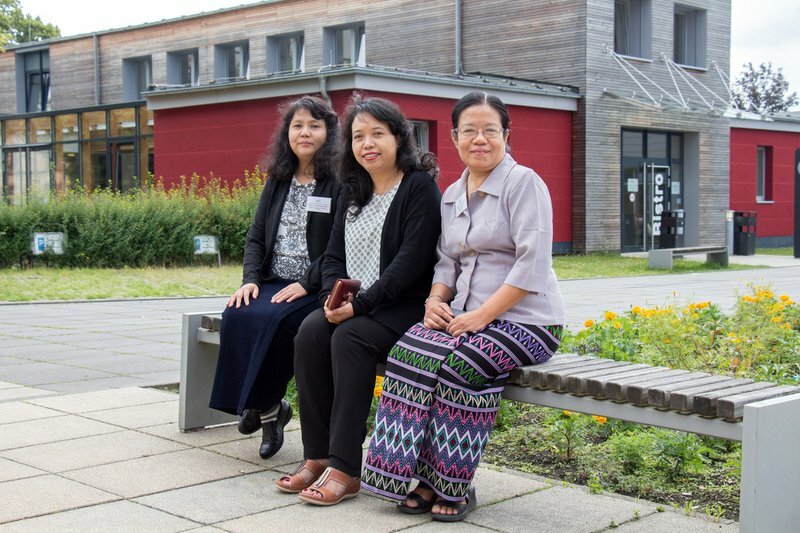 For the three women from Myanmar, the IDC offers many occasions to get in touch with colleagues from other Asian countries and to learn about the diverse university structures in other countries. Deans from Cambodia, Indonesia, Laos, Malaysia, from the Philippines, Thailand and from Vietnam provide an “exciting diversity” which additionally delights Prof. Dr. Peter Mayer from the University of Applied Sciences. “We organise the IDC annually rotational with Asian and African Deans. Next year, we celebrate our tenth anniversary” claims Peter Mayer with joy over the enduring success of the training programme. 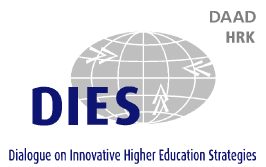 The IDC is a joint initiative of the University Rectors‘ Conference (HRK), German Academic Exchange Service (DAAD), Alexander von Humboldt Foundation (AvH), Centre for Higher Education Development (CHE), Freie Universität Berlin and the University of Applied Sciences of Osnabrück. The DAAD supports the programme with funding from the Federal Ministry of Economic Cooperation and Development (BMZ).